Submitted photo The cup is available for those who register for the blood drive slated for 8:30 a.m.-noon Saturday, April 28. 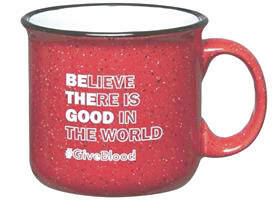 FAIRBORN — The “Be The Good” stoneware coffee mug is a gift to everyone who registers to donate at the St. Christopher’s Episcopal Church community blood drive 8:30 a.m. to 12 p.m. Saturday, April 28 in the Fellowship Hall, 1501 North Broad St.
Community Blood Center encourages donors to schedule an appointment online at www.DonorTime.com or call 800-388-GIVE. https://www.fairborndailyherald.com/wp-content/uploads/sites/50/2018/04/web1_bethegoodcup.jpgSubmitted photo The cup is available for those who register for the blood drive slated for 8:30 a.m.-noon Saturday, April 28.